After a rocky year, D.C.'s most ambitious divas are back on track. But in a city of social climbing and scandal, can they stay ahead of the game? 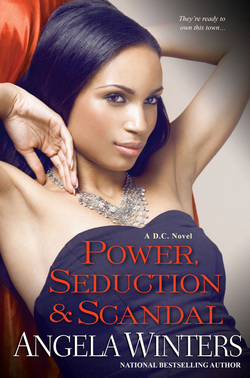 ﻿Don't forget to get caught up on Angela's most popular and highly reviewed book series about America's black royal family, The rich, powerful, scheming, manipulating, exciting, and dangerous Chase clan!!! Check Out My Pinterest Page!! Visit Angie's profile on Pinterest. This website will soon have contests, polls and more interactive pages for your favorite characters. I will be adding an update section and creating a discussion page for fans!